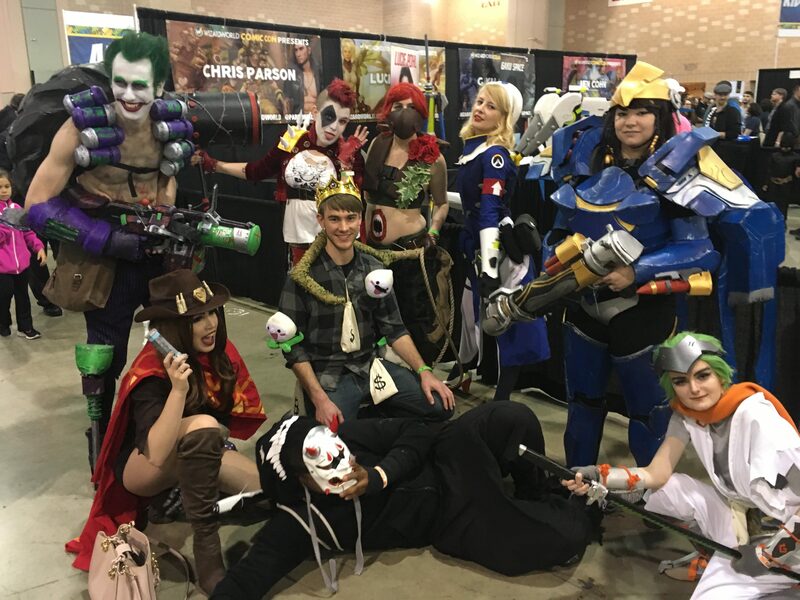 Wizard World took place last weekend at the Pennsylvania Convention Center and there was a large amount of attendees either buying the rare comic, cosplaying, playing video game tournaments and much more. 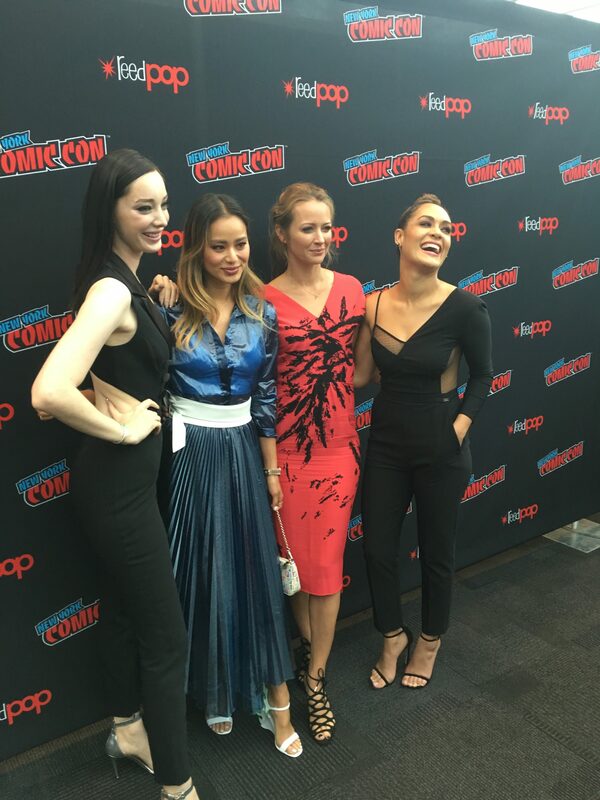 There were many actors and comic writers and creators over there as well as fans got the opportunity to meet them. 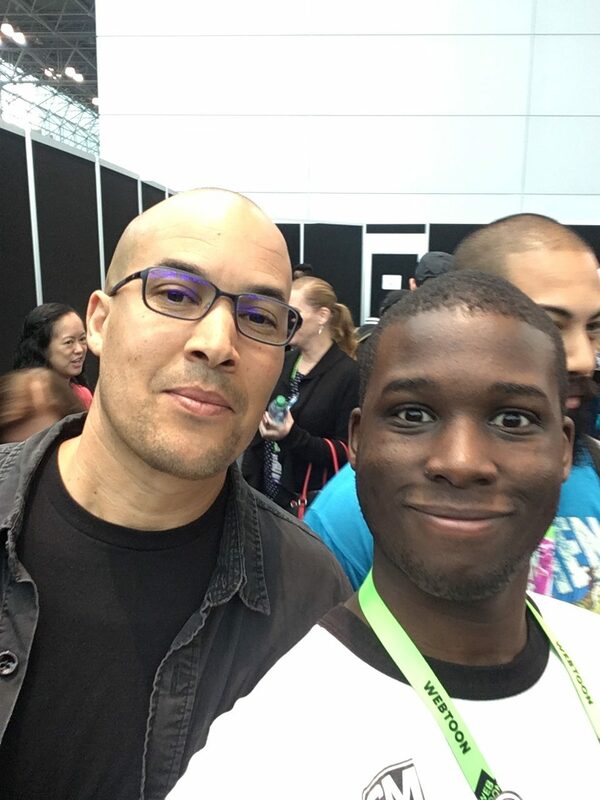 We were able to attend the show to cover it over the weekend and it was very fun from what we saw. Wizard World always delivers every year in Pennsylvania and they will be back there in 2019. The next panel we attended was of Ray Fisher and Ezra Miller from Justice League as they both talked about their roles of the movie along with having a dance off with one of the fans. The final panel we attended was called The Voices of Overwatch and four of the voice actors from that game (one of them also did voice work in Final Fantasy XV) were there live to talk about how it all started and spoke in their character voices for most of the panel. It was very fun to see. And Finally, i have taken many photos of cosplayers around the building and these were the best i have seen over there last weekend. Columbia Pictures are now accepting idea submissions at Wizard World Philadelphia this year! LOS ANGELES, April 27, 2018—Do you have an original idea for a movie? And do you plan on attending Wizard World Comic Con Philadelphia? This could be your day. Wizard World, Inc. and Columbia Pictures Industries, Inc., an affiliate of Sony Pictures Entertainment Inc., today began accepting content ideas online, with potential pitch sessions to be scheduled during Wizard World Comic Con Philadelphia on Thursday and Friday, May 17-18, at the Pennsylvania Convention Center. This marks the second activation of the recently announced collaboration between the pop culture convention producer and leading studio, following a successful debut earlier this month in Portland, Ore. Whether a paid attendee, artist or exhibitor, anyone who plans on attending Wizard World Comic Con Philadelphia and can be available on Thursday and/or Friday, May 17-18, may submit an idea now through May 10 at 5 p.m. PT via Wizard World’s dedicated Website at https://wizardworld.com/2018-philadelphia-pitchfest. Any submissions which are selected in Columbia Pictures’ sole discretion will participate in a pitch session to take place at designated dates/times during the event. One idea submission is permitted per person; In order to be considered, submissions must be a fully-owned original idea and must not infringe on any copyrighted material. Anyone participating in the pitch must be a registered Wizard World Comic Con Philadelphia attendee, artist or exhibitor, and must be 18 years of age or older and a legal U.S. resident. Full information, including Wizard World’s and Sony Pictures’ respective Privacy Policies, submission guidelines and terms and conditions are available on the submission form https://wizardworld.com/2018-philadelphia-pitchfest. Wizard World Comic Con events bring together thousands of fans of all ages to celebrate the best in pop culture: movies, television, gaming, live entertainment, comics, sci-fi, graphic novels, toys, original art, collectibles, contests and more. The fifth event scheduled on the 2018 Wizard World calendar, the 2018 Philadelphia show hours are Thursday, May 17, 4-9 p.m.; Friday, May 18, noon-7 p.m.; Saturday, May 19, 10 a.m.-7 p.m.; Sunday, May 20, 10 a.m.-4 p.m. Kids 10 and under are admitted free with paid adult. For more on the 2018 Wizard World Philadelphia, visit http://wizd.me/PhiladelphiaPR. 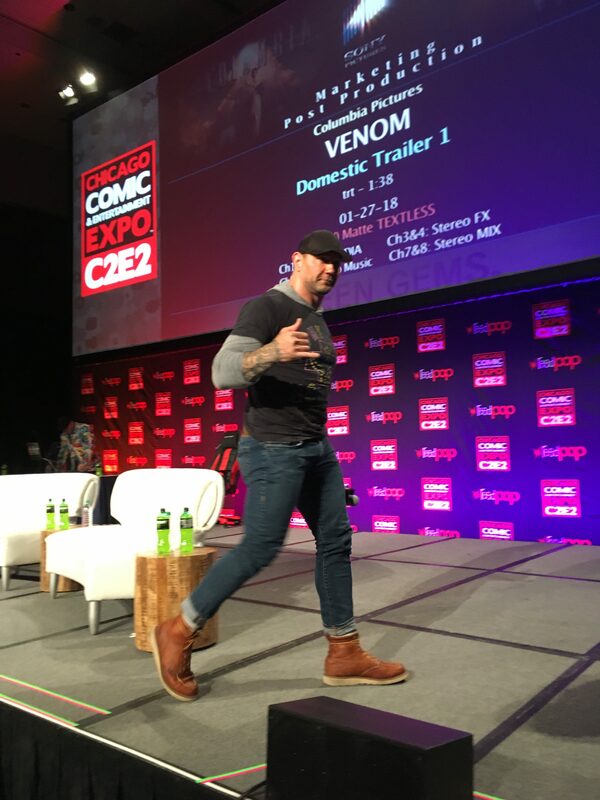 LOS ANGELES, January 16, 2018 – Dave Bautista , who wowed fans as “Drax the Destroyer” in Guardians of the Galaxy in 2014 and in last summer’s blockbuster sequel, will make triumphant returns to Wizard World Comic Con events in Portland (April 14), Philadelphia (May 19) and Chicago (August 25). Bautista, whose budding film career has also included a role in the Sony feature Spectre, the 24th installment of the James Bond series, will greet fans, sign autographs, pose for photo ops and conduct interactive Q&A sessions at his Saturday appearances at each show. 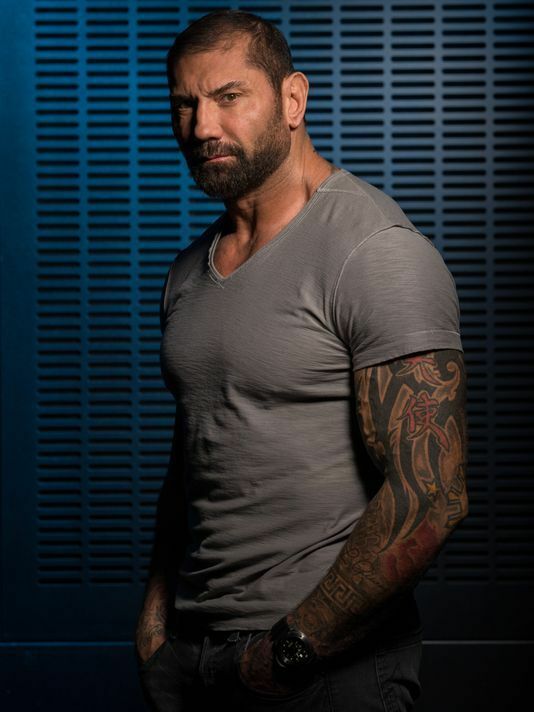 In addition to his Guardian and Spectre roles, Bautista also appeared on-screen last year in the much-anticipated Blade Runner 2049 , the sequel to the science fiction cult classic. In 2016, he appeared in several films including Kickboxer: Vengeance and Marauders , and the year prior he was also in the action film Heist starring opposite Robert DeNiro and Jeffery Dean Morgan . Bautista can also be seen in last year’s independent film Bushwick starring opposite Brittney Snow, and has numerous films scheduled for 2018 release, including Avengers: Infinity War and Final Score . A more complete current roster of celebrities for each event is available along with dates, times and other information at www.wizardworld.com , with additional headliners to be announced. Wizard World Comic Con events bring together thousands of fans of all ages to celebrate the best in pop culture: movies, television, gaming, live entertainment, comics, sci-fi, graphic novels, toys, original art, collectibles, contests and more. The Portland show, held at the Oregon Convention Center, is set for April 13-15. The Philadelphia event is set for the Pennsylvania Convention Center, May 17-20. Wizard World will celebrate the 20th anniversary of Wizard World Comic Con Chicago, August 23-26 at the Donald E. Stephens Convention Center in Rosemont, Ill. At all shows, kids 10 and under are admitted free with paid adult. 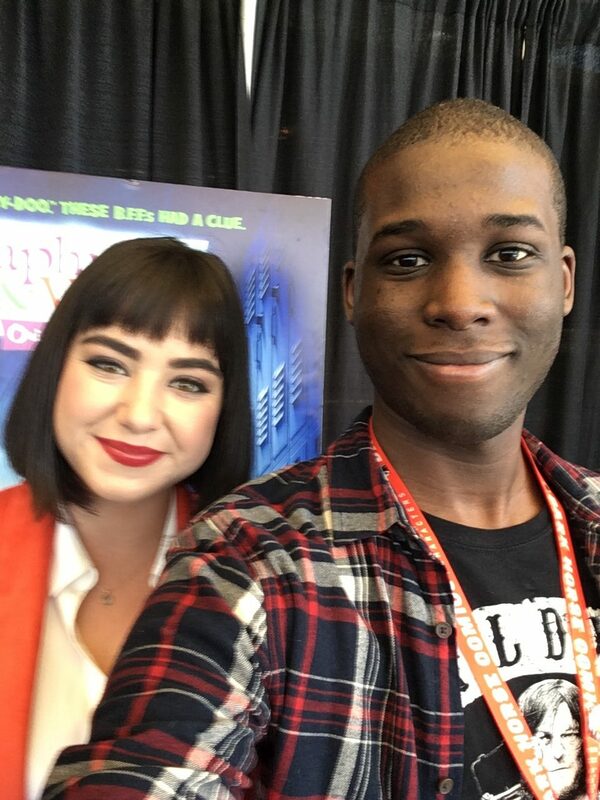 Just a few days ago at Wizard World Chicago Comic Con a group of Wizard World Digital Team video bloggers got together and produced a crowd-sourced video. This turned out to be an epic undertaking connecting with fans, celebrities and the cosplay community. Celebrity guests included Bruce Campbell, Lesley-Ann Brandt, Katrina Law, Nicole & Brianna Garcia, Jon Bernthal, Adrianne Curry and David Della Rocco! America’s largest pop-culture tour, is set for Saturday and Sunday, May 21-22, at the Penn Plaza Pavilion in Manhattan. 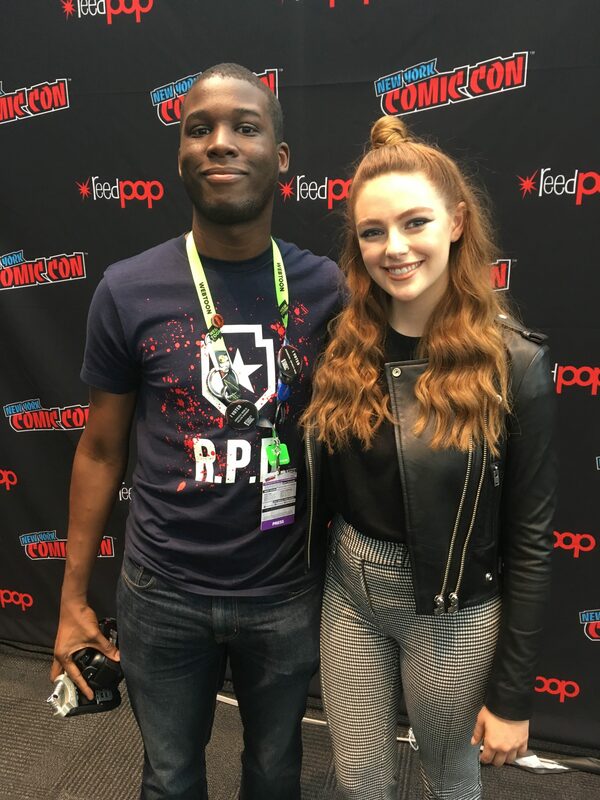 The event, the largest and longest-running Comic Con in New York, will bring together thousands of fans of all ages and plenty of celebrities and industry professionals to celebrate the best in pop culture: movies, comics, toys, video gaming, television, gaming, original art, collectibles, contests and more. James Marsters, who played “Spike” on “Buffy: The Vampire Slayer,” Tom Felton, best known for playing the role of “Draco Malfoy” in the HARRY POTTER film series, Morena Baccarin, who starred as “Inara Serra” in the sci-fi television series “Firefly,” “Adria” in “Stargate SG-1,” and as “Anna” in “V,” and Kristanna Loken, whose credits include TERMINATOR 3, “Painkiller Jane,” and “The L Word,” are the headline celebrities scheduled to attend. “Response to the Big Apple Comic Con shows the past two years was so strong that we had to add the Spring event,” said Gareb Shamus, CEO, Wizard World. 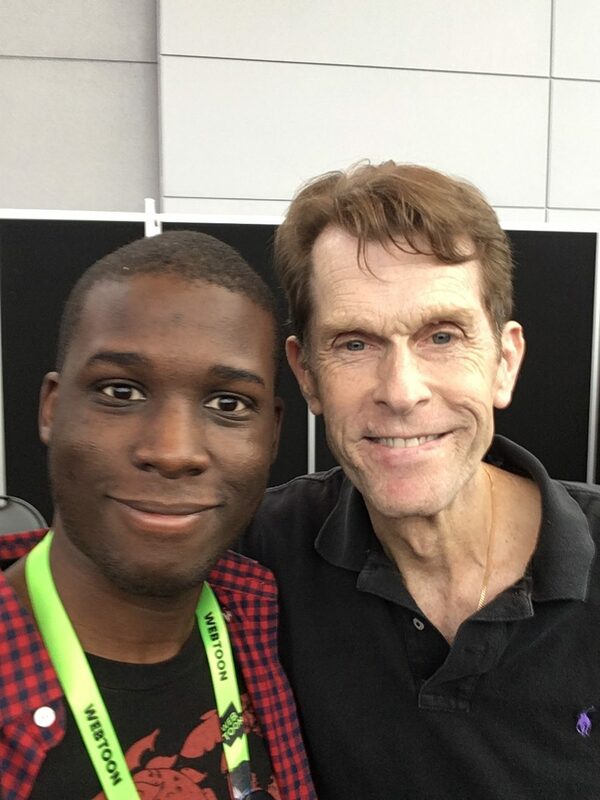 “Everyone – the celebrities, the fans, the dealers, manufacturers, artists, and the entire community we deal with was begging us to bring a huge Spring Comic Con to New York.” Fans can also meet their favorite comic creators and artists, including Arthur Suydam (“Marvel Zombies,” “Batman”), Greg Horn (“Blackest Night,” “Elektra,” “Ms. Marvel”), Mike Grell (“GreenArrow,” “Green Lantern”), Jerry Robinson (“The Joker,” “Robin”), Matt Kindt (“Revolver,”“Pistolwhip”), Jim Cheung (“Avengers,” “Uncanny X-Men”), Kaare Andrews (Astonishing X-Men,” “Iron Man”), Christos Gage (“X-Men,” “Spider-Man”), Phil Ortiz (“The Simpsons,” “He-Man and the Masters of the Universe”), Ryan Ottley (“Invincible,” “The Walking Dead”) and many other national and local creators. There will also be a special appearance all the way from Brazil, making a rare U.S. appearance, by Luke Ross (“Captain America,” “Amazing Spider-Man”). Other celebrities setto be on hand include Tony Award winner Dan Fogler (“Balls of Fury,” “Good Luck Chuck”), Bonnie Piesse (STAR WARS: EPISODE III – REVENGE OF THE SITH, STAR WARS: EPISODE II – ATTACK OF THE CLONES) and Chandler Riggs (“The Walking Dead”).Children and adult attendees are encouraged to come dressed as their favorite villain, superhero or pop culture personality for the chance to win special prizes in costume contests.Event-goers may also try their hand interactive product exhibits and shop for collectible comics,movie and television memorabilia, toys and games at more than 200 dealer booths. http://www.wizardworld.com/newyorkcity.html at up to a 15% savings over tickets purchased at the door. Advance adult single-day tickets are $20; two-day weekend tickets are $35, and tickets are free for children age 10 and under when accompanied by a paid adult (limit two children per adult). VIP packages with special entry and exclusive items are also available. 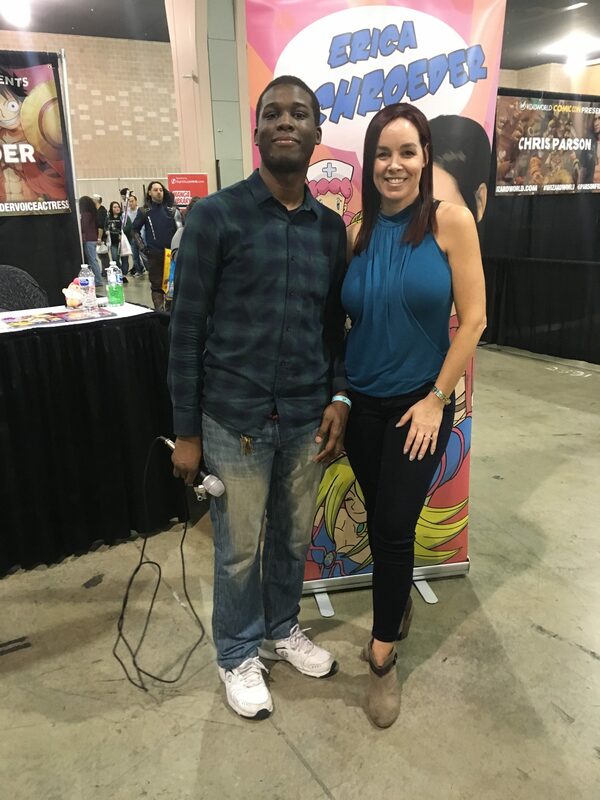 About Wizard World:Wizard World is a producer of pop culture and multimedia conventions across North America that markets movies, TV shows, video games, technology, toys, social networking/gaming platforms, comic books and graphic novels. It has the rights to the names, marks, domains, customer lists and production rights for a portfolio of pop culture and multimedia conventions.For the most recent event information please visit www.wizardworld.com and become Big Apple Comic Con Fan on Facebook. They released the remaining staff and freelance assignments. Its Sister publication ToyFare also closed. Launched in 1991, Wizard was once a dominant, if controversial, force in the comics industry, with its price guides, Top 10 Writers and Artists lists and annual Wizard Fan Awards carrying significant weight. But in recent years the magazine’s star faded even as its scope expanded — it rebranded itself as “The Magazine of Comics, Entertainment and Pop Culture” — becoming known more for its staff firings than for its exclusive coverage. ToyFare debuted in 1997 as a companion publication devoted to toys and collectibles. 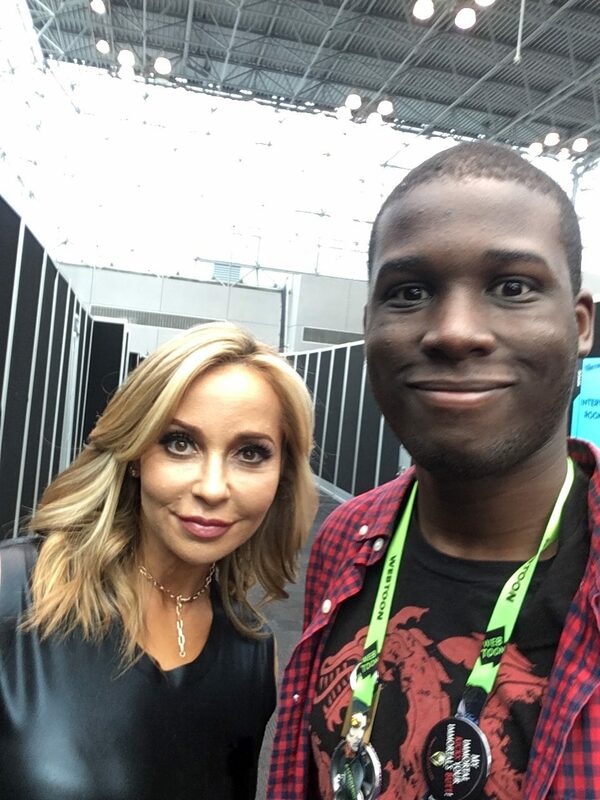 CEO Gareb Shamus followed a morning filled with reports of the magazines’ demise with a press release announcing the February launch of “an all-new digital magazine called Wizard World” that will target the same audience. Curiously the release, which you can read below, doesn’t mention Wizard magazine. Instead its focus is on the news that Wizard World Inc. is now a public company with Shamus as its president and CEO. The Wizard bullpen blog Pie Monkey has been taken offline, with assurances from its Twitter feed to “Please stay tuned” The link to magazine subscriptions on the Wizard website is also dead. Wizard World Comic Con will begin its North American tour at New Orleans Comic Con held from January 29 to 30, 2011. The full event schedule can be found at www.wizardworld.com.